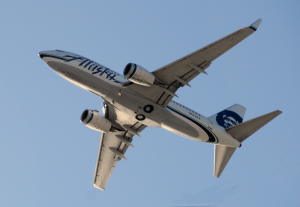 The Federal Aviation Administration is proposing a civil penalty of $210,000 against Alaska Airlines of Seattle for allegedly failing to properly document and tag deactivated systems and equipment before making repairs. The FAA alleged that on 10 occasions between June 19, 2010, and January 13, 2011, Alaska performed maintenance on six of its Boeing 737 airplanes but failed to comply with the required alternative deactivation procedures. Specifically, the airline allegedly failed to document the alternative actions it took, and failed to install the appropriate danger tag. These requirements are safety measures designed to reduce hazards to technicians during maintenance and to prevent potential damage to the aircraft and onboard systems. Alaska Airlines has 30 days from receipt of the civil penalty letter to respond to the agency.